Incorporated with most advanced techniques, our 2 Hi Hot Rolling Mills are superlative utilized for rolling thick slabs, sheets or plates made up of aluminum, copper, steel and brass. The mills are technologically incorporated by making use of premium grade stainless steel, mild steel, aluminum and copper brass. Our rolling mills range is provided with motor power varying between 75kw and 1000kw to ensure excellent weight enduring capacity ranging from 20kgs to 2000kgs. 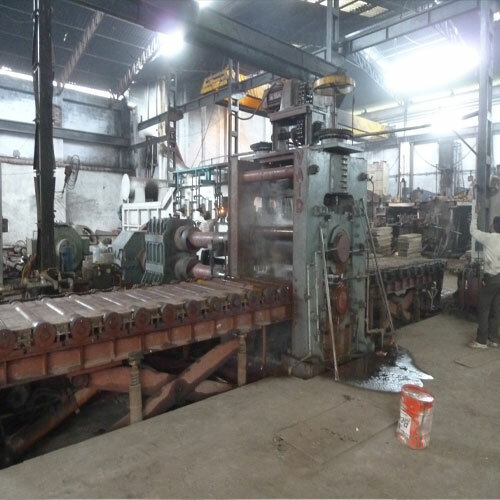 The 5 Hi Hot Rolling Mills offered by us are idyllically used for reducing the thicknesses of metal pieces according to the requirement. These mills are designated by making use of premium grade raw materials to ensure their sturdiness and reliability in functioning. 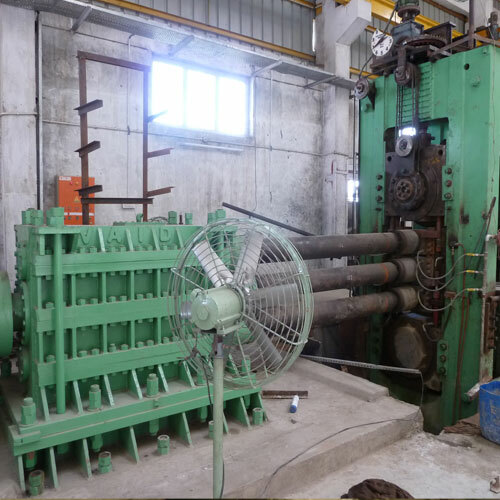 Our offered assortment of rolling mills is bidirectional in reducing the rolling time, in order that the material stays red hot by the end of the process to ensure improvising in the product quality.